We are hard at work to bring you the first two releases by Gatto Pazzo. Both releases are home-made, limited edition productions. There will be a total of 15 of each release made and that will be it. They will be available at the B.L.U.R.T show on Wednesday, October 10th at Sip. 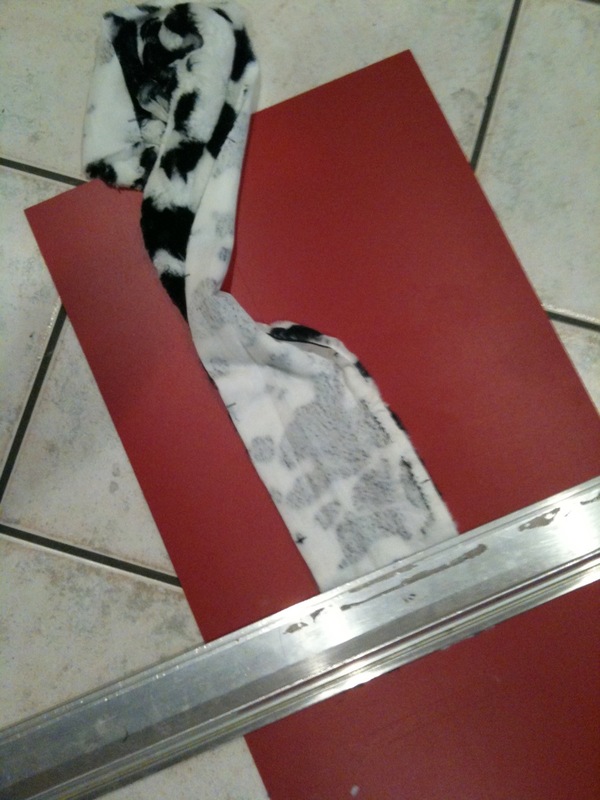 The first CD is “Doberman Dalmatian”. 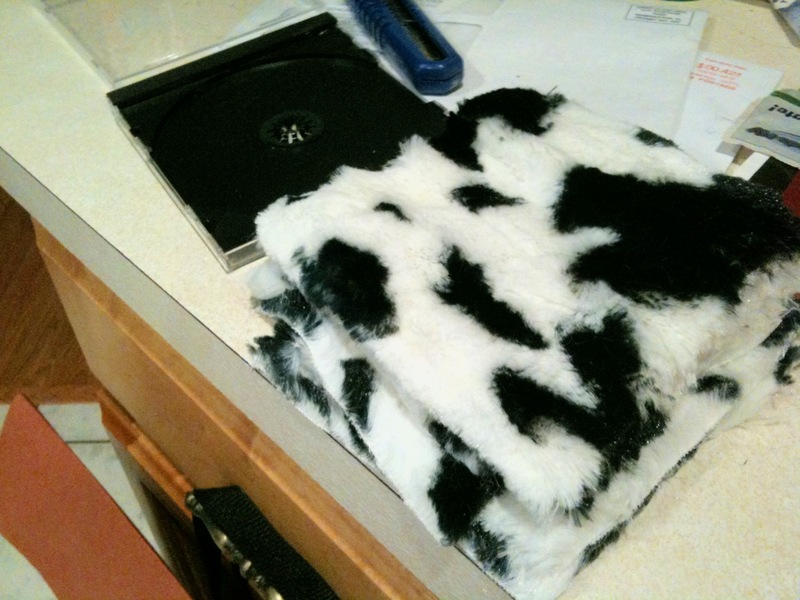 It comes in a custom Dalmatian fur jewel case. The music is one long improvisation that has been split for listener convenience. 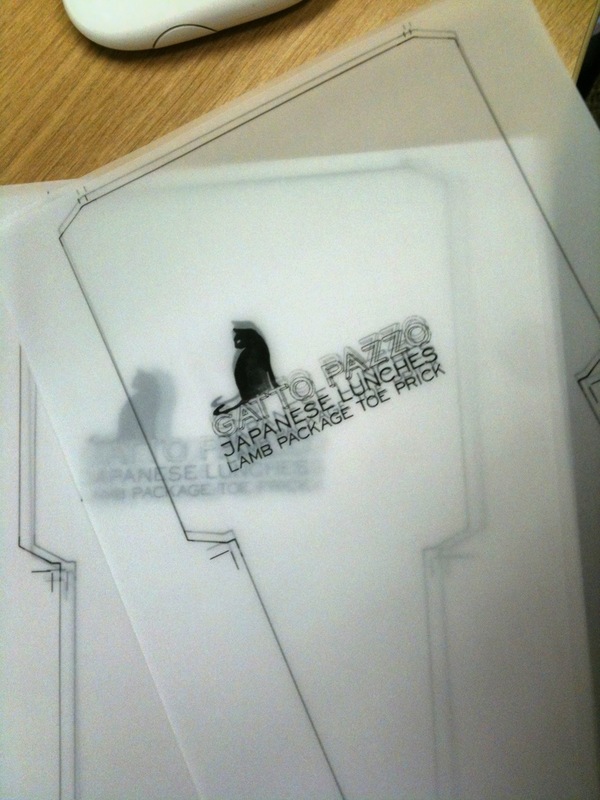 The other release that will be available at Sip is the EP length “Japanese Lunches/Lamb Package Toe Prick”. This will come in a custom translucent sleeve containing original artwork by the band, one framable piece per song title. There will be a total of 15 prints along with the CDEP. Very excited about these creations! 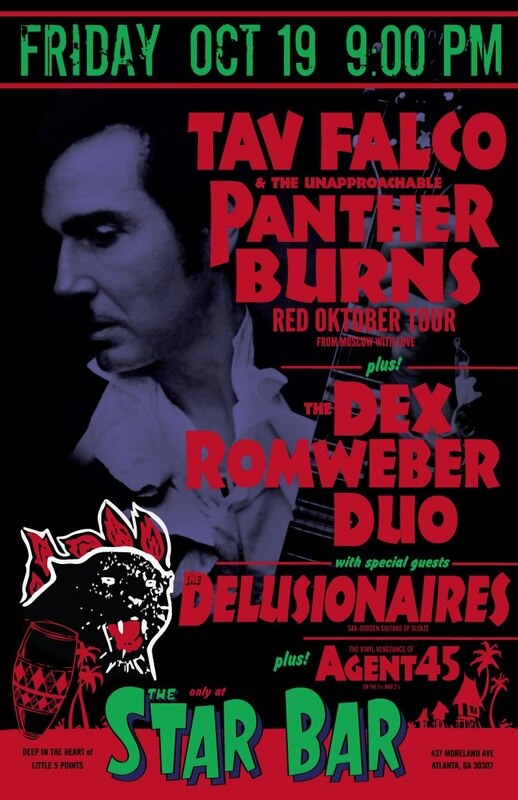 Another new development that I am excited about is the addition of The Dex Romweber Duo to the Tav Falco/Panther Burns show with The Delusionaires as opening act in Atlanta on October 19th. This will be an amazing show, one that you will be very sad if you miss it!!! Great shows coming up. Hope to see everyone there. This entry was posted in experimental music release, Improvisation / new music, live experimental music, upcoming release and tagged avant garde, delusionaires, dex romweber, gatto pazzo, improvisation, jazz, jim ivy, saxophone, tav falco by jimivy. Bookmark the permalink. Well, I’ve seen Tav Falco, The Dexter Romwber Duo, and The Delusionaires; albeit separately! All at once, and I may have burst into flames!!! I can only fervently echo your sentiments! That gig is well worth braving The Star Bar for, unquestionably! I recently caught The Mondellos there in August and The Star Bar had been through a lot of…changes since my last sojourn there in ’97 to see Mr. Link Wray! Now, fifteen years later, perhaps it echoes the form of Artie Mondello’s liver!